VIAIR Corporation is proud to offer our new Automatic Deployment Air (ADA) Systems as a base model kit, delivering incredible performance in a compact space. 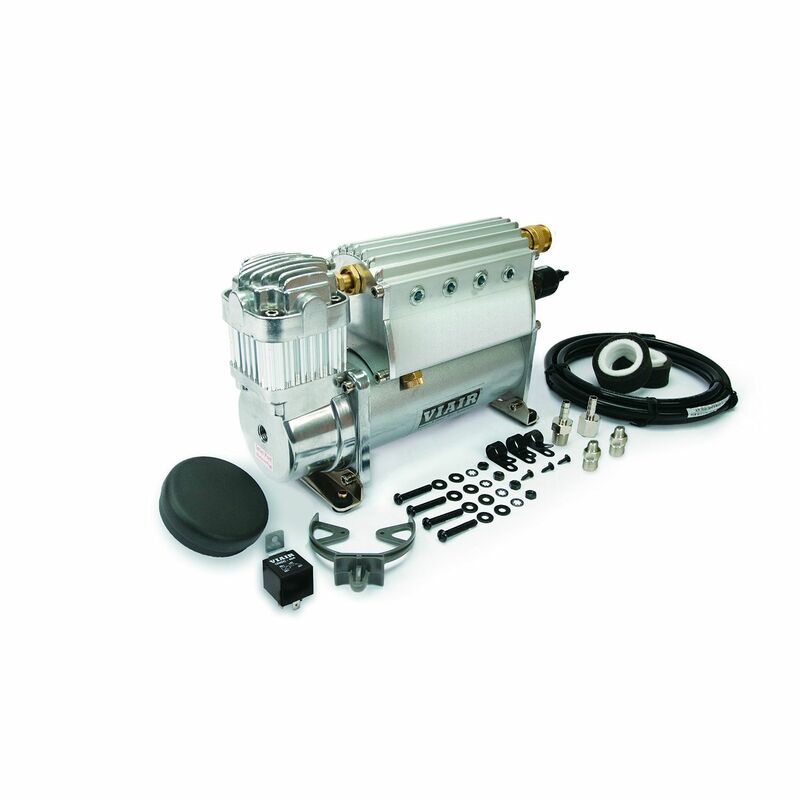 VIAIR ADA Base Model Kits incorporate a 12-port extruded aluminum air tank to provide a compact air locker and tire inflation station (For up to 35" Tires) using a 400C (Heavy Duty) compressor at its core. VIAIR Automatic Deployment Air Systems (ADA) incorporate a 12-port extruded aluminum air tank to provide a compact air locker and tire inflation station for virtually any vehicle using either a 400C (Heavy Duty) or 450C (Constant Duty) compressor at its core. ADA Systems come complete with a pressure switch, automatic coupler, Digital Tire Inflation Kit, and a wiring harness to make the installation a plug & play process. Base Model Kits are also available with limited accessories. Should not be used for Load Leveling.